As possibly one of Revealed Recordings most familiar faces and long withstanding collaborators, Julian Calor recently made the announcement of his debut artist album ‘Evolve’ on the imprint. After the success of his ‘Typhoon/ Storm’ EP in 2014 that climbed its way into the Beatport top ten, Julian proves once again his musical talent with this melodic trip. 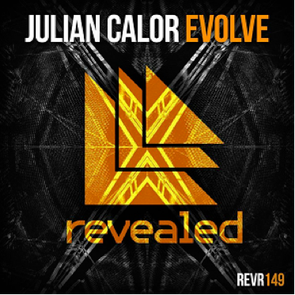 Following the success of Hardwell’s debut artist album ‘United We Are’ on Revealed, Calor is championed to follow in the footsteps of the label boss, with the title track of his forthcoming album - ‘Evolve’ - already proving popular. The presence of this young Revealed apprentice with his sound of complicated but coherent melodies, reflects Calor’s status in the electronic dance music scene. Premiered on the 200th episode of Hardwell On Air and receiving live support at major music events including Creamfields and Tomorrowland, the original mix of title track ‘Evolve’ morphs through the motions of high-pressure build-ups, keys and bass-laden beats, for a resulting omission that cries out for you to ‘Come alive’ and ‘Evolve our souls’, as Calor presents the finest work of his career to date.